CHICAGO, IL--(Marketwired - February 10, 2015) - Shoppers with Amazon devices now have the best deals at their fingertips. Brad's Deals, the experts who post the best deals from across the web every day, is proud to announce the launch of the Brad's Deals App on the Amazon Appstore. The Brad's Deals' app is now available from the Amazon Appstore for both Kindle devices and the Fire Phone. 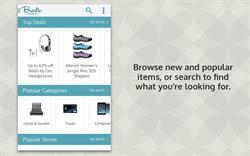 The app guides shoppers to all of the best deals from their favorite retailers, like Macy's, Target, Best Buy and more. It features the same exclusive and best-of-web deals as BradsDeals.com, in your pocket and optimized for your mobile device. "Our mission is to be a balanced, informative voice that helps consumers find the best deals on the products they love," said Brad Wilson, CEO of Brad's Deals. "Naturally, we want to make ourselves as convenient and accessible as possible, and launching our Amazon app will help us reach more consumers in the process of doing that." 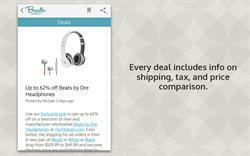 The Amazon app joins Brad's Deals' Android app, which was launched in late 2014 and has quickly built up a 4.4 / 5 rating and over 1,000 reviews. The app for iOS devices, which has been available for over a year, has also been well received -- it has a 4+ rating and over 400 reviews. 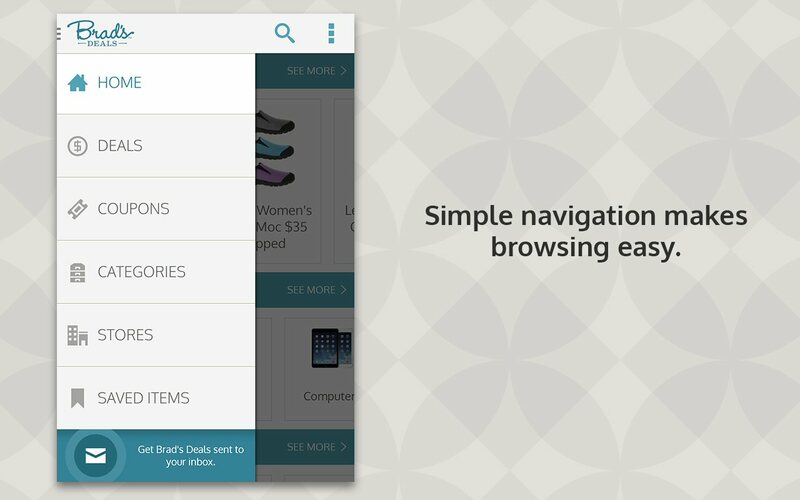 All of Brad's Deals' apps allow shoppers to save a list of favorite stores and deals, just like the website does. For users shopping with Brad's Deals across multiple devices, there's good news: All your favorites transfer from device to device. 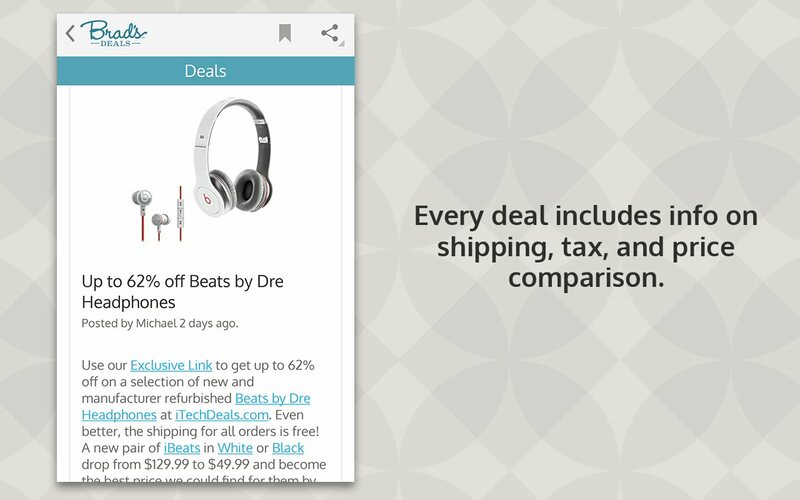 For more on the Brad's Deals apps, including where to download them, check out bradsdeals.com/app. At Brad's Deals, our experts curate a guide to the best deals on the internet, featuring everything from designer shoe sales to credit card hacks to in-store coupons. We act as a consumer advocate, thoroughly researching every deal we post. And one more thing that's pretty important: Brad's Deals doesn't actually sell anything. Instead, we provide a free service that tells you exactly where to find the best price on just about everything. Learn more at www.bradsdeals.com. Simple navigation makes browsing easy. Every deal includes info on shipping, tax, and price comparison. 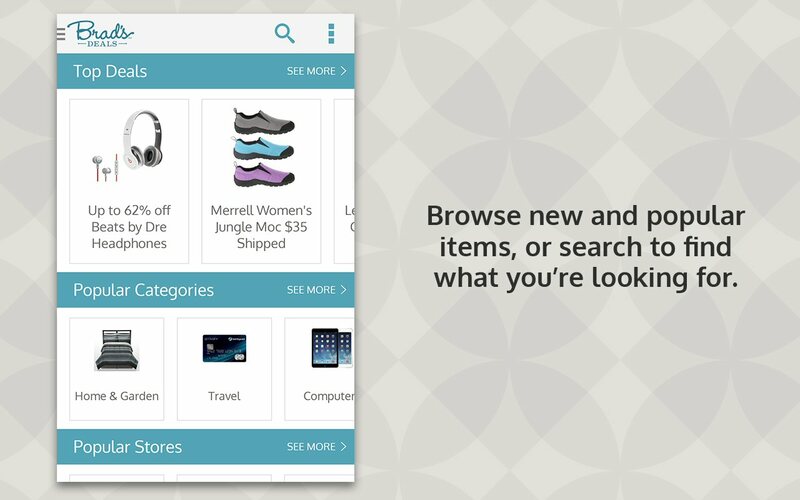 Browse new and popular items, or search to find what you're looking for.